With the microalga spirulina. Characterised by a particularly strong vital richness. From controlled organic cultivation! Dietary supplement with the vital substance-rich microalga spirulina. From controlled organic cultivation! 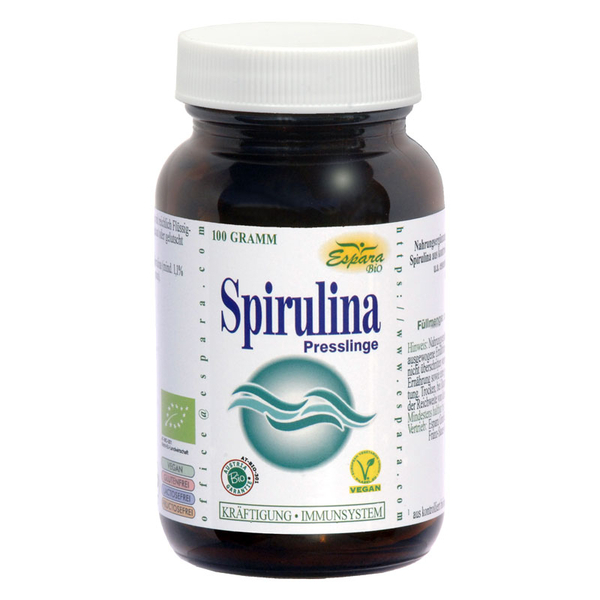 Spirulina is a single-celled, blue-green algae and contains among other essential amino acids, vitamins, minerals, chlorophyll, phycocyanin and considered strengthening and tonic for the whole body. Consume 3x daily 5 pellets with plenty of water. The pellets can also be chewed or sucked.